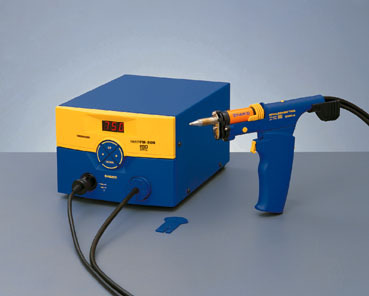 The Hakko FM-205 is a “shop-air” desoldering and soldering station. The shop-air feature provides for higher vacuum pressure and increased suction flow in comparison to the FM-204. Note: This station requires shop air. 6.3 (W) x 4.7 (H) x 8.9 (D) in. B3215 Locking Connector Cover Connector cover replacement for the FM-2027 handpiece. FM2027-02 Handpiece Connector Connector assembly handpiece only, without tip. Designed for the T15 Tip Series. HJ2002-03 Desoldering Maintenance Kit for the HAKKO FM-2024 Desoldering maintenance kit for the HAKKO FM-2024 desoldering tool. A1612 FM-2024 Filter Pipe filter for the FM-2024. 10 pack. Note: This item replaces A1511. A1613 Ceramic Filter Ceramic filter for the FM-206/205/204, and C1492. 10 pack. Note: This item replaces A1514. B2761 Fuse Fuse replacement for the FM-205/204/203. B2972 Control Card Control Card for the FM-205/204/203, FX-951, and FR-803B/802 stations. B3401 Display Cover Display cover for the FM-205/204/203 stations. 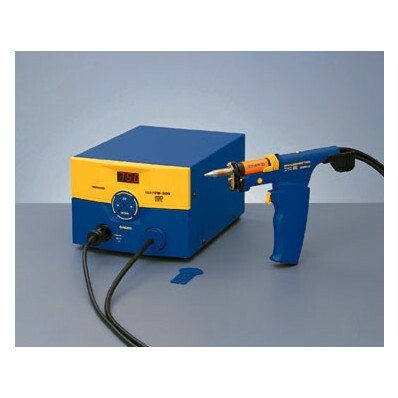 FM-2024 Desoldering Tool Holder Hakko’s FH200-05 Iron Holder is designed for use with the FM-2024 Desoldering Tool. 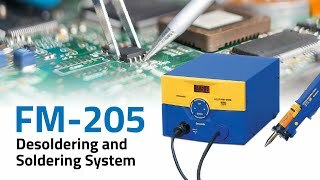 FM2024-02 Desoldering Tool Handpiece The Hakko FM-2024-02 is the desoldering tool handpiece and uses the N3 Series nozzles.